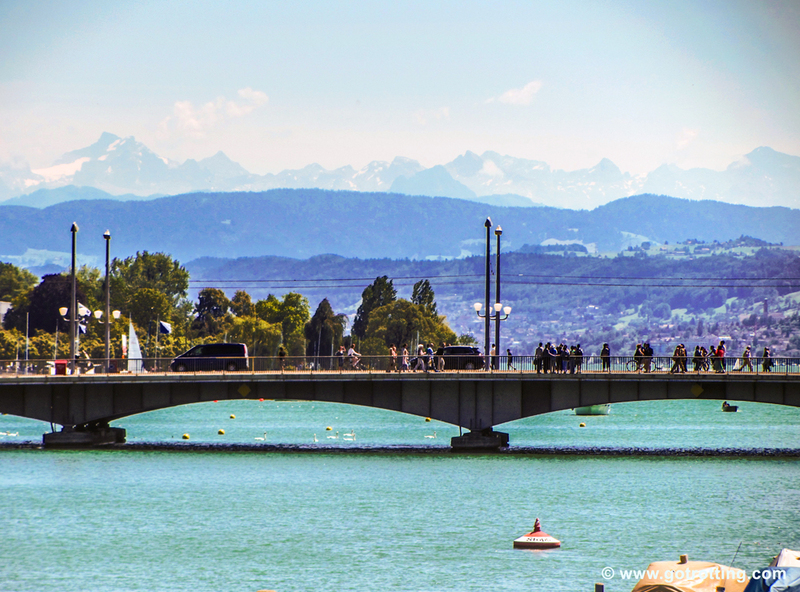 The largest city in Switzerland (approximately 390,000 inhabitants) and one of the most expensive in the world, Zurich boasts a beautiful location on the Lake Zurich (German: Zürichsee) and the kind of high-end shopping that goes with being an international financial centre. But despite the tourists wandering through and the floods of business people in suits, the old town retains its beautiful buildings and quiet squares of charm. 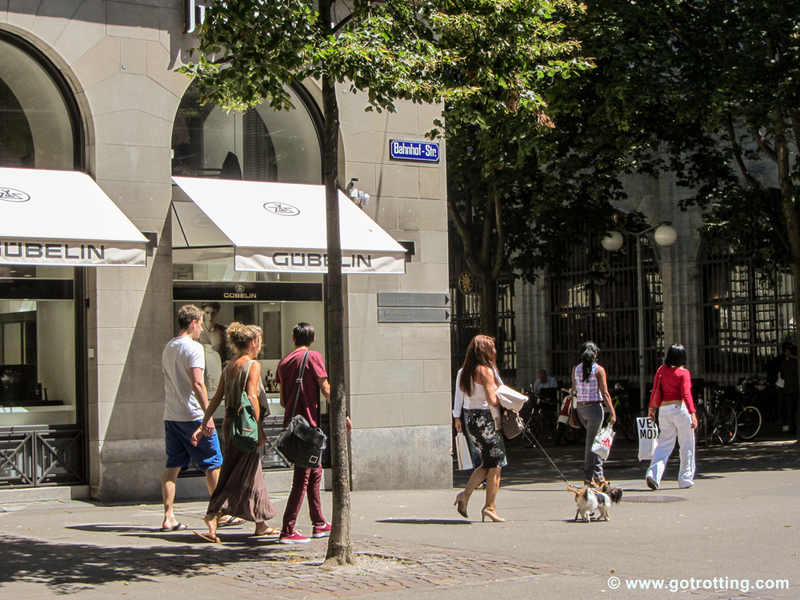 If you arrive by train you can get your first introduction to Zurich by walking down to the lake along the famous Bahnhofstrasse, lined with expensive shops and boutiques. 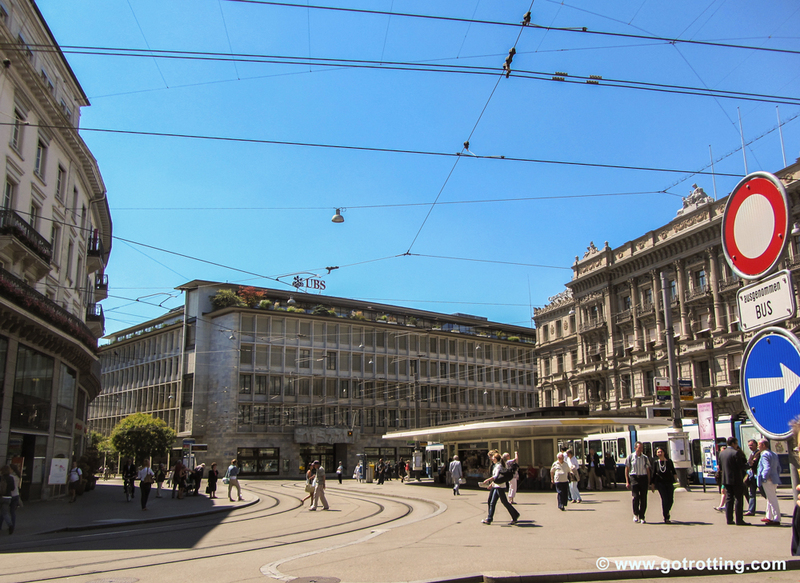 The city center is crowded with cafés, restaurants and clubs; the prices tend to correspond to the high salaries earned by most of the denizens of Zurich, but the plethora of entertainment available is more extensive than that offered by other Swiss cities. 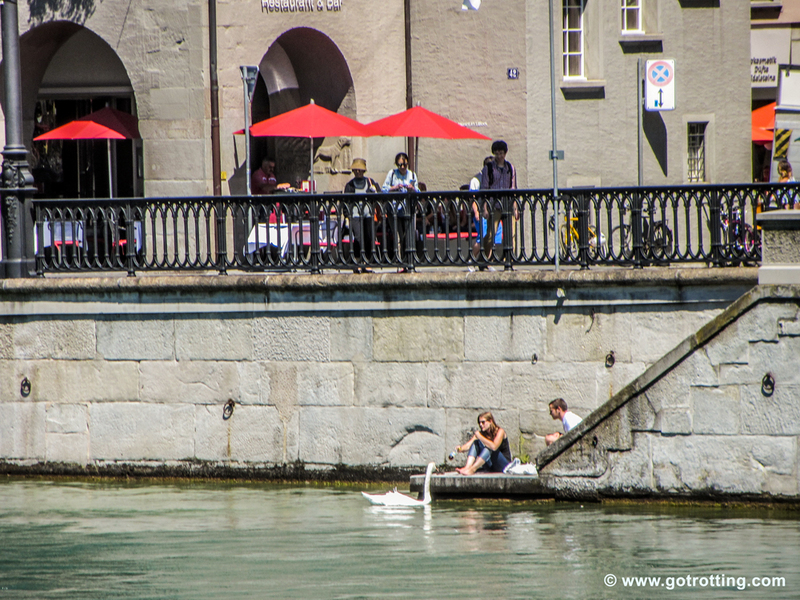 The Lindenhof, originally the site of a Roman castle and now a tourist area, offers a fine view of the old town built around the River Limmat as it flows into the lake. Do not miss the main churches of the city’s old town: the Grossmünster, a Romanesque church the building of which began in 1100; the Fraumünster, a Benedictine convent founded in 853; and the St. Peterskirche. All are a few minutes’ walk from each other, and the modern stained-glass windows of the Grossmünster are especially worth a visit.